The very first Commonwealth Games were held in Hamilton, Canada in the year 1930. Canadian Athlete, Bobby Robinson was the key force behind the start of the games as he finally put talks that were taking place for decades into practice. A total of 11 nations accumulating 400 athletes participated in CWG 1930.Since 1930 the games have been taking place once in every four years except 1942 and 1946 due to the intervention of World War II. Out of the 16 games that have been played so far, four of them have been hosted by Australian cities (Sydney 1938, Perth 1962, Brisbane 1982 and Melbourne 2006).The name of the Games has been shuffled quite a few times. Between the years 1930 and 1950, the Commonwealth Games were renamed as the British Empire Games and then the British Empire. From 1966 to 1974, the games were called the British Commonwealth Games and 1978 onwards they were titled to what is now the Commonwealth Games.Commonwealth Games were founded on the basis of history and not on the nations geographical position or climatic conditions. One of the main characteristics of the Games is that the participating countries share one common language. From athletes to coaches and other officials, everyone can converse with each other in English, creating a friendly atmosphere leading to the games often being called as the "Friendly Games". In order to keep the Games always competitive and exciting, the Commonwealth Games Federation agreed to include team sports in Kuala Lumpur 1998 for the first time in the history of the Games. Unlike other sporting events, Commonwealth Games bring together nations from different continents under one roof sharing the family spirit of the same historical moments, experiences and links that go beyond cultural barriers. Jawaharlal Nehru Sports Complex is a modern and a fully equipped sports complex with world class facilities. Frontline fighters Sukhois and MiG-21 Bisons of the Indian Air Force (IAF) will guard Delhi’s skies during the Commonwealth Games (October 3 to 14). Giving them company will be Heron and Searcher — unmanned aerial vehicles hovering at a height of 6,000 to 10,000 feet, supplying monitoring centers in different parts of the city with real time pictures, a senior defence ministry official said. The fighter planes will be stationed at nearby air bases to deal with all kinds of threats, including plane hijacks. Anti-aircraft surface-to-air weapons along with armed helicopters will also be in ready mode at Bareilly, Sirsa, Adampur and Srinagar, the official said. Mobile observation posts manned by different security agencies, including the police, have been set up across the city. The IAF has, in the last three months, trained several batches of policemen in aerial observation and interception activities besides targeting sub-conventional threats in urban areas, the official said. After weeks of controversies surrounding the Commonwealth Games, the heads have stated to roll. Now, the CWG Press Operations head Manish Kumar has been transferred for allegedly 'sabotaging the game'. Revolt breaks out in the media team. According to sources, Manish Kumar had an altercation with the Cabinet Secretary who has now issued marching orders to the CWG Press Operations head. In his place Manjushree Roy has taken over as DDG Press Operations. Immediately after Mike Fennell's press conference earlier today, Cabinet Secretary appointed a committee headed by Ajay Seth met. In the meet it was found that Manish Kumar sabotaged the games. 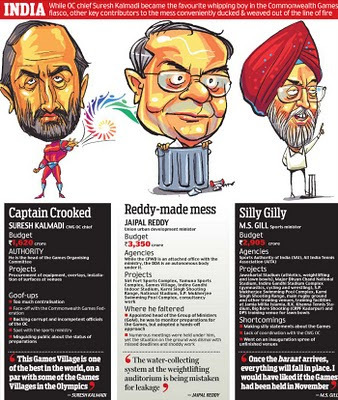 In turn the underfire allegedly hurled abuses at the Cabinet Secretary. Cabinet Secretary K M Chandrashekhar then issued the marching orders and directed OC CEO Jarnail Singh to replace Manish Kumar as the Press head in the Commonwealth Games. There seems to be a revolt in the Press team. 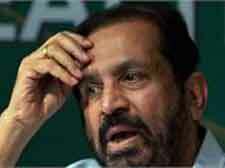 Suresh Kalmadi and Mike Fennell today shared the blame for the shoddy preparations for the Commonwealth Games 2010. "I am the chairman of Organising Committee and I will take all the responsibility. There is no issue. But I wish the venues were handed to us a little earlier," Kalmadi told a press conference in New Delhi. He also admitted that Organising Committee Secretary General Lalit Bhanot's comments about hygienic standards between Indians and others were avoidable. 'I wish the venues were handed to us a little earlier,' says CWG OC chief Suresh Kalmadi. Fennell today said considerable work has been done but it has to be sustained over the next eight days to make the troubled event a success. Rounding up an emergency stock-taking trip, during which he inspected the much-criticised Games Village, Fennell said it was not the time to indulge in a blame-game but so much of work should not have been left for the last lap. Ending days of uncertainty over international participants, Fennell also brought some much-needed good news for the beleaguered organisers by announcing that "there would be full participation in the Games." The spate of individual pullouts also slowed down a bit with just a British diver -- Peter Waterfield -- announcing his withdrawal. President of CWG Federation Michael Fenell and Organising Committee Chairman Suresh Kalmadi during a press conference in Delhi. "I am the chairman of Organising Committee and I will take all the responsibility. There is no issue. But I wish the venues were handed to us a little earlier," Kalmadi told a press conference in New Delhi. CGF President Mike Fennell on Saturday said that everyone in the Commonwealth Games management has to share the blame for the lack of preparations ahead of the Delhi edition but hoped that they would overcome the problems in the next eight days for the successful conduct of the event. Addressing a press conference a day after visiting the Games Village, Fennell said, "Considerable work has been done but still some more remains to be done." 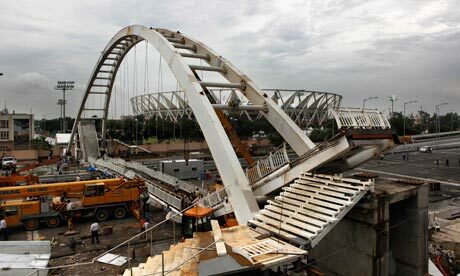 A collapsed bridge, rooms 'unfit for habitation' and now top athletes pulling out. Will the Games in Delhi go ahead. The white plastic canopy stretched over the reconditioned terraces glowed purple and red. Fresh paint gleamed in the late monsoon rain. The air conditioning and mobile toilets were "first class", said workers. But the crowd outside the Jawaharlal Nehru stadium in central Delhi were not there to admire the venue that will host the opening ceremony of the Commonwealth Games in less than two weeks time. They were there to gawp at twisted wreckage – the evidence of the latest disaster to hit the troubled event. This was billed as the moment when India would stride proudly out on to the world stage. But today saw the 19th Commonwealth Games sinking only further into chaos and recrimination. It had already been a bad day for the event, even before 23 labourers were injured when a crucial bridge linking the athletes' car park to the main stadium collapsed in the early afternoon. Officials arriving ahead of overseas teams had found rooms in the £150m games village on the outskirts of this city of 17 million people to be "unsafe and unfit for human habitation". This despite the fact that the village is due to open on Thursday. Some rooms had been flooded out by monsoon rains. In others showers, air conditioning and electrical sockets were not working, while toilets were described as "filthy". With local press reporting that only 18 of the 34 accommodation blocks were complete, team leaders from England, Scotland, Wales, New Zealand, Australia and Canada all expressed shock and concern. Craig Hunter, England's chef de mission, revealed he was calling for safety assurances from the organisers. "It's hard to cancel an event of this magnitude but we are close to the wire, and teams may start to take things into their own hands," he told the Press Association. "Athletes will start getting on planes soon and decisions will have to be made. We need new levels of reassurance." Some even threw doubt on whether the games could go ahead. 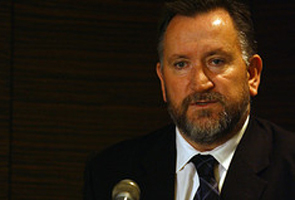 New Zealand's chef de mission, Dave Currie, said: "The way things are looking, iIt's not up to scratch. The reality is that if the village is not ready and athletes can't come, the implications are that it's not going to happen." The Commonwealth Games Federation president, Michael Fennell, described the whole two-week event as "seriously compromised". His words came as little surprise to observers. The list of problems has lengthened over recent weeks to include corruption scandals, huge cost overruns, shoddy construction that means completed facilities with leaky roofs or subsiding floors. International sports events in any country routinely attract negative press in the runup – see the fuss in South Africa earlier this year – only for the warnings to come to nothing. But on this occasion it is likely that many projects will simply not be finished at all. The problems are manifest. Holes dug ubiquitously in an effort to "beautify" the Indian capital – millions of pot plants were to be planted – have contributed to an outbreak of dengue fever. The holes were left unfilled, stagnant water collected and mosquitos bred in their millions. India's weightlifting team has been hit by a doping scandal. Sponsors have pulled out. There is no sign of the hundreds of thousands of tourists expected to flow through the city's rebuilt airport, nor of the approach roads that were going to link its new £1.2bn terminal to the city. Top athletes – and the Queen – will be absent although Prince Charles said yesterday he would be attending. Only last night two top English athletes – Olympic 400m champion Christine Ohuruogu, and 1500m runner Lisa Dobriskey pulled out of the games. Triple jumper Phillips Idowu also wrote on his Twitter page that he would not be going to Delhi, citing safety concerns although his agent said later that no firm decision had been made. "It is quite simple: we have to hope for a miracle. Otherwise we are facing national disgrace," said Boria Majumdar, an Indian sports historian and author of Sellotape Legacy: Delhi and the Commonwealth Games. "The glare of the world's cameras is upon us." The fears now are more serious than simply being left with piles of unsold vuvuzelas – tens of thousands have been produced – and mascots. Government officials are investigating allegations that safety certificates for some buildings were falsified to cover up the use of cheaper substandard materials. One leading Delhi architect blamed a "lack of oversight" for the collapse of the bridge. "These are sensitive structures. They can be done in a hurry but they have to be done well. There has to be very close supervision," Kuldip Singh said as he joined those who avoided stick-wielding policemen to throng a road bridge with a view of the site of the collapse. There are also concerns about a terrorist attack. Last weekend two tourists were wounded when their bus was attacked by gunmen in north Delhi. Extra security ordered for the games stadia has now been diverted to prominent tourist sites. How different this all looked earlier this year, when headlines in local newspapers about the games, won by Delhi in 2003, were universally positive. Delhi was "adding world-class facilities and slick services" that would "leave visitors awestruck", said news magazine Outlook. The comparison with the 2008 Beijing Olympics, watched with jealousy and some respect in India, was, if not always explicit, evident. Some spoke of a possible Olympic bid for 2020. But as progressive deadlines have gone by and the problems have mounted, the media has turned on the event and on the administrators and politicians, many from the ruling Congress party. "If we had not given it to these nincompoops then we would not be as ashamed as we might be going to be," Outlook editor Vinod Mehta said. "We just shouldn't have taken it on the Queen's not coming, nor are top athletes. It's a lose-lose situation. We've got better things to do." The forced resettlement of more than 100,000 slum dwellers and the closure or demolition of schools seen as eyesores have also prompted criticism, as has the rising cost of the games. The event is now thought to be likely to cost around £2bn, up to 10 times some original estimates. Chetan Baghat, India's top-selling author with a huge youth following, called the event a "lootfest". "The CWG 2010 is, by far, the biggest and most blatant exercise in corruption in independent India's history," Baghat wrote in a recent editorial, "Not only have they stolen public money, they've made a mess of the job at hand." Yet on the streets around Nehru stadium, little of the bitterness and scepticism was evident. Standing at the crowded bus stands, waiting for often decrepit, overcrowded buses, commuters unanimously voiced their support for the event and their country. 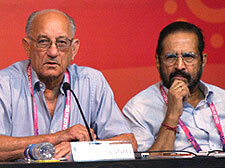 "The games will definitely get India name and fame," said SK Najpal, a 58-year-old civil servant. "There are some hurdles, but don't worry. These foreign athletes should be less panicky. I have seen plague in Delhi and it didn't kill me. The games will be a big win for India." Suggestions that the event might even be cancelled were met with blank astonishment. "That would be very, very, very upsetting," said 18-year-old Deepak Singh. For student Chandra Prarthana, the games were "a matter of pride" for India: "People think we are still a nation of snake charmers. We will have a good and successful games and the world will see our country as it really is." 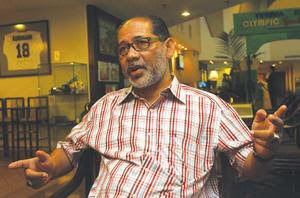 Organising Committee vice-president Randhir Singh said there was "no problem" and described the buildings as "perfect". He added: "We still have two days for the teams to come and the situation will be under control. "The buildings are perfect, they've all appreciated, and 24 hours is a long time and we will organise it." South Africa World Cup There was an avalanche of conjecture about security, ticket sales, stadiums and transport. It reached a fever pitch around the time that the Togo team bus was attacked at the Africa Nations Cup, although organisers argued with some justification that there was no connection between the two eventsVisitor numbers were down as a result of perceived high prices and safety fears. With weeks to go, there was a last-minute push to sell tickets. As it was, the event was celebrated as a huge success within South Africa. Athens Olympics With four years to go, a new organising committee was installed amid serious concerns from the IOC. In a manic race against time, major venues and infrastructure projects, including tram and road links that were well behind schedule, were only just completed in time. There was a spate of deaths among construction workers and a series of strikes threatened to cause chaos. In some cases, buildings was finished with just days to spare and competitors and spectators arrived to find landscaping and finishing touches still being applied. Beijing Olympics With a year to go, IOC president Jacques Rogge suggested some events may have to be cancelled due to the poor air quality, while the torch relay that preceded the games was targeted by protesters. Now, the 2008 Games are chiefly remembered for their spectacular opening ceremony, the glut of golds for Team GB and the arrival of Usain Bolt on the world stage. Vancouver Winter Olympics Just two days in, transport links were not working, a Georgian luge slider was killed and events were cancelled because there was too much snow and ice at some venues and not enough at others. But the infectious excitement in the host city at a string of Canadian medals and the warm welcome afforded spectators overcame those early concerns and the organisers were roundly praised at the end. Sports minister Hugh Robertson has claimed it would be ''an utter tragedy'' if the Commonwealth Games do not go ahead in New Delhi next month but remains confident the event will take place. Fears have been raised that the event, which has 6,500 athletes taking part, could have to be cancelled due to shocking conditions in the athletes' village that has left the facilities branded unfit for human habitation. 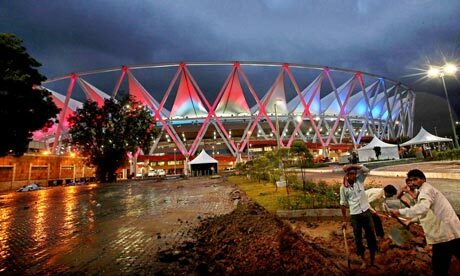 To make matters worse, a number of workers were hospitalised on Tuesday when a 100m-long bridge linking a car-park to the Jawaharlal Nehru stadium - the main venue for the Games - collapsed while it was being completed. Robertson, who will spend several days in Delhi next month, said Games organisers needed support - and not threats by teams that they might withdraw. The minister said: ''It would be an utter tragedy if anything went wrong at the last moment but I have had no indication that this will not go ahead and I expect it to do so. ''They need support and understanding and for people to back their Games, it is not helpful to just throw your hands in the air. ''We are clearly in a slightly fevered media environment and it's important that one takes a sensible and strategic long-term view. ''There is nothing that I have seen or heard that has suggested that these are problems that cannot be sorted out. Robertson said he remained confident that the Games would be remembered for the spectacle and sport rather than the problems with the preparations. He added: ''I always suspected that this would come down quite close to the wire but I'm confident when we all get to Delhi they will lay on the most fantastic show. ''I will be very surprised and disappointed if we didn't all look back at two weeks of really good sport with Indian colour and excitement and vibrancy. In the recent tradition of games hosted by developing nations eager to show they too can build fibreglass enormo-domes, India has thrown the kitchen sink at Delhi 2010. 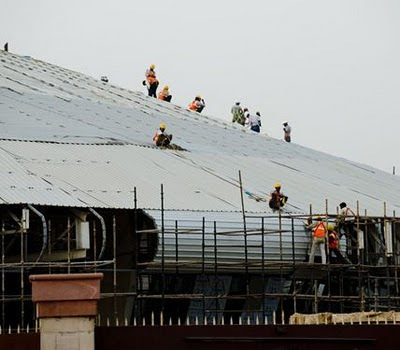 The Jawaharlal Nehru Stadium now has a roof coated in 53,800 sq m of Teflon and 4,000 labourers have worked around the clock. More controversially, a "beautification" programme has seen 100,000 homeless Delhi-ites relocated and tasteful bamboo screens erected around city slums. We can only hope they at least get to keep the bamboo screens. The first big question of Delhi 2010 is: will Delhi 2010 actually take place? This week odds on the games being scrapped were cut to 4-1 after a new footbridge attached to the main stadium collapsed, injuring 23 people. This followed the announcement by Scottish team officials that the athletes' village is "unfit for human habitation" and an outbreak of Dengue fever. Don't listen to the bookies though. India is a mob-handed muddle-ocracy and these games – one way or another – are going to happen. Probably. The games may reek of tiffin, punka-wallahs and fusty imperial anachronisms, but they are also a hothouse of devolution: only here do Scotland and Wales get the chance to win medals free from the yoke of the British flag – although not very many. Also competing in Delhi are the Cook Islands, Gibraltar, Guernsey and Tokelau, a dependency of New Zealand with a population of 1,500. This is an event that appears increasingly drained of vital signs, crowded out by the biannual World Championships and lucrative grand prix events. Among those absent are heptathlon star Jessica Ennis, cycling deities Chris Hoy and Victoria Pendleton and gym queen Beth Tweddle. Basically: if you've heard of them, they're not going to be there. The tide of history is against the Commonwealths, so enjoy it while it's here. The upside of which is we get the chance to garland some unlikely heroes. The English diving team will contain a 13-year-old schoolgirl called Alicia Blagg. And Scotland's swimming hopes are pinned on Hannah Miley, whose training regime, devised by her father, involves towing a large sponge around the pool. "He attaches a sponge to me," Miley explained recently. "It's just one of those jumbo sponges you wash your car with.'' This is truly the spirit of ingenuity that built a commonwealth. India will go nuts . . .
. . . most likely, over shooter Abhinav Bindra, its first individual Olympic gold medallist in Beijing two years ago. Bindra's father, recalling his son's days as a child prodigy, said: "When he was five he would place a balloon on the head of his maid and shoot it." Normally the most sparsely attended of sports, shooting isn't going to know what's hit it. This is the only stage where the flat-capped pursuit of rolling heavy balls along a very nice stretch of lawn attracts such headline status. Watch out too for netball and squash, plus – potentially in 2014 – snooker. At last: a games with real games. The BBC is currently planning to broadcast 1,800 hours of Commonwealth Games across its TV and web channels, the equivalent of 75 straight 24-hour days. At least 56 presenters and pundits have been despatched, including Huw Edwards, whose duties extend to "ceremonies". Looking forward to those, Huw. The Queen has stoically attended every Commonwealth Games of her reign except for 1966 in Jamaica. She is, however, set to miss Delhi just when suddenly it makes quite a lot of sense to go crawling back to our resurgent post-colonial would-be allies. Indian billionaire investors: you still have our support. At least, for 10 minutes or so during the highlights, before the squash starts. New Delhi: It is Murphy's Law for the Commonwealth Games. Whatever can go wrong is going wrong. With security worries at an all-time high after Sunday's attack on two foreign tourists, Tuesday brought worse news for the organisers. 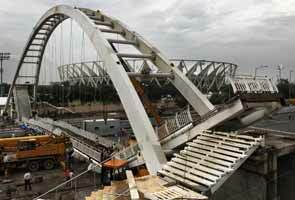 With just 12 days to go for the Games, a new foot over-bridge near the main venue of the Games, Jawaharlal Nehru Stadium, collapsed, injuring 23 labourers, five of them critically. 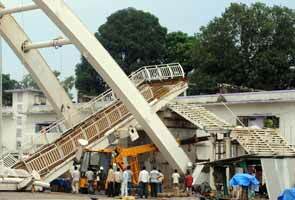 "The over-bridge collapsed as the pins not secured properly," said Raj Kumar Chauhan, PWD Minister, Delhi. The location couldn't have been more inappropriate for the Games, as the over-bridge collapsed at the doorstep of the Jawaharlal Nehru Stadium, where the opening and closing ceremonies are to be held. New Delhi: Piling on the embarrassment for the organisers, Commonwealth Games Federation Chief Executive Mike Hooper on Tuesday termed the Athletes Village as "filthy and uninhabitable" but hoped that with CGF President Michael Fennell's intervention, the mess would be sorted out in the next two days. "Predominantly the issue is of cleanliness of the towers in the residential zone. The matter came to our attention when we paid a preliminary visit to the Games Village on September 15 along with some representatives of the advanced parties of Commonwealth Games Associations (CGA)," Hooper told reporters at a press conference here. "Ever since Sep 15, we along with CGAs met on daily basis. We also held meetings with OC officials and emphasised the importance of addressing the issue of cleanliness of the Village, which I have to say in many towers are filthy and uninhabitable as stated by Mr Fennel," he added. Hooper's comments came after an advanced party from New Zealand, Canada, Scotland and Ireland raised serious concerns regarding the hygiene in the residential zone of the Games Village. No sooner it came to light, CGF President Fennell came out with a strongly-worded statement, wherein he criticised the Organising Committee for the mess and said he had written to the Cabinet Secretary K M Chandrasekhar, expressing his concerns about the athletes accommodation. Hooper, however, hoped that with Fennell's intervention the matter would be resolved at the earliest. "As a consequence of that, I informed the matter to Mr Fennel and he took up the matter with higher authorities in India. Basically, we needed to elevate this matter further to ensure the athletes get what they deserve, which is a Village that provides them the best-possible environment to prepare for the Games," he said. "Hopefully, with Mr Fennell's intervention, asking for direct intervention from the Indian government, the problem will be fixed. Hopefully, we will see some significant action and progress in the next two days. "(OC chairman) Mr (Suresh) Kalmadi told me that the Cabinet Secretary was at the Village this morning. It shows that clearly he has taken the matter extremely seriously," Hooper added. With just 12 days to go for the October 3-14 mega-event, the CGF CEO said the incident did not come as a positive advertisement for the Games, the countdown to which has been marred by corruption allegations and construction delays. "It would be fair to say that we are extremely disappointed to find ourselves in the situation we are in right now with only two days before the athletes start arriving," Hooper said. "We were given promises that these would be remedied by September 19. It is fair to say that there was some progress but it is certainly insufficient to satisfy the majority of CGAs who are currently here." Hooper also said the CGF stands by its statement that the international zone of the Village, which was soft launched last week, is of world class standard. "I stand by my statement that the international zone is fantastic. It has got a lot of accolades from different CGA members. "But what we said in relation to the Village was that it has the potential to be the best Village we ever had," he added. Games are on:Union Information and Broadcasting Minister Ambika Soni with Commonwealth Games Organising Committee Chairman Suresh Kalmadi at the Media Centre for Commonwealth Games 2010 during its inauguration at Pragati Maidan in New Delhi on Monday. NEW DELHI: Rows of flat screen computers, well-equipped workstations, wi-fi and broadband, high definition TV screens mounted on colourful walls, and a swanky press conference room — at first glance, the Commonwealth Games press centre at Pragati Maidan lives up to its “world-class” promise. Take one step outside, and it's a different story. Construction workers and machines race against time to finish building the food court, lay access roads, tile pavements and install outdoor lighting. Piles of gravel and equipment lie sprawled in the mud, even as more digging throws up fresh debris. Workers are frantically patting patches of lawn grass into place just two steps away from the main door, where Information and Broadcasting Minister Ambika Soni and the Games' Organising Committee chairman Suresh Kalmadi cut the ribbon to inaugurate the press centre on Monday. An International Broadcast Centre was also inaugurated. “The rain over the last few days has caused delays. We expect the work to be completed soon,” says Neelam Kapoor, who heads the Press Information Bureau. Additional work also needs to be done to ensure better training for the press centre's workforce — which includes professionals, media students and volunteers — and better organisation of press conferences. Several journalists were also frustrated by the lack of drinking water at the press conference room during the long delay. When finally addressing the press, Mr. Kalmadi made it clear that India would ensure the safety of all athletes and officials during the Games, in the wake of Sunday's firing incident at the Jama Masjid. “I have not got a single call from any Commonwealth country expressing apprehensions about security. This [firing] was not a Games-related incident…It's not major,” he said. “As of today, all the 71 Commonwealth countries are coming for the Games,” he added, dismissing fears that nations would pull out citing security reasons. Apart from the Home Ministry and Delhi Police, National Security Guard commando units are also being deployed, while an International Security Liaison office will be set up in a city hotel. “We have taken all steps to ensure the safety of the athletes. The athletes would be escorted by security personnel right from the airport to the team hotel to the competition venues,” he said.